Objectives To examine whether recently certified pediatric subspecialists enter markets that previously lacked subspecialists and to determine whether changes in overall supply are associated with changes in geographic availability of care. Participants Physician data for 2003 and 2006 from the American Board of Pediatrics. Main Exposure New entrants, defined as subspecialists who first obtained certification after 2003. Main Outcome Measures We examined the following: (1) whether new entrants were more likely to practice in locations lacking certified subspecialists; (2) changes in the percentage of hospital referral regions (HRRs) with at least 1 subspecialist; and (3) changes in the number of subspecialists per HRR. Results Ten pediatric subspecialties experienced increases in supply and 5 experienced decreases. For 8 of the 15 pediatric subspecialties studied, new entrants were more likely than previously certified physicians to locate in an HRR that lacked a subspecialist in 2003. The percentage of HRRs with a subspecialist increased significantly for 3 of the 10 pediatric subspecialties with increases in supply. Among HRRs with a subspecialist in 2003, the average number of subspecialists per HRR increased between 2003 and 2006 for 6 of the 10 pediatric subspecialties with total supply increases and decreased for 4 of the 5 subspecialties with decreases in supply. Conclusions Increases in the number of pediatric subspecialists generally did not lead to improvements in distribution and may actually reinforce the existing distribution for certain pediatric subspecialties. However, because newly certified subspecialists are more likely to enter an HRR that previously lacked a subspecialist, long-term increases in supply may lead to improvements in distribution. These findings as well as those from other studies3 have fueled concerns that there is a shortage of pediatric subspecialists.4 When there is a shortage of physicians, a number of potential solutions are debated, including increasing supply. Yet, increases in supply will ameliorate shortages only if they lead to physicians locating in underserved markets. A failure of subspecialists to diffuse into underserved markets may lead to a situation in which an increase in supply actually reinforces the existing distribution of subspecialists. What factors influence market entry among physicians? During the 1980s, researchers began applying standard economic location theory to physician location decisions.5-7 This theory posits that physicians choose to practice where they maximize their profits, assumes that demand for physician services declines as travel time to a subspecialist increases, and predicts that there is a critical town size needed to attract the first physician.8 While profit maximization plays a role in the location decisions of at least some physicians, utility maximization may also play a central role. Utility maximization theory posits that factors other than profit such as altruism, quality of living environment (eg, leisure time, housing, and schools), and availability of professional colleagues may influence physicians' location decisions.9 Thus, market entry among pediatric subspecialists may be a function of financial, professional, and personal factors. It is unclear whether newly certified subspecialists, ie, new entrants, might weigh these factors differently than their more experienced colleagues. We examined the following: (1) whether new entrants were more likely than their counterparts to practice in locations that were lacking subspecialists in 2003; (2) whether the percentage of HRRs with at least 1 subspecialist increased from 2003 to 2006; and (3) whether the number of subspecialists in an HRR increased from 2003 to 2006 among those HRRs that had any subspecialists. We studied pediatric medical subspecialties using 2003 and 2006 diplomate data from the American Board of Pediatrics (ABP).1 The 2006 ABP file was actually generated in 2007 but includes data on certification through the end of 2006; thus, we refer to it as the 2006 file. The included pediatric subspecialties are adolescent medicine, critical care medicine, developmental-behavioral pediatrics, neonatal-perinatal medicine, neurodevelopmental disabilities, pediatric cardiology, pediatric emergency medicine, pediatric endocrinology, pediatric gastroenterology, pediatric hematology-oncology, pediatric infectious diseases, pediatric nephrology, pediatric pulmonology, pediatric rheumatology, and pediatric sports medicine. We grouped diplomates by pediatric subspecialty (neonatal-perinatal medicine, pediatric nephrology, etc). While somewhat similar data on pediatric subspecialists are available in the 2002 American Medical Association Physician Masterfile, the Masterfile underestimates the number of board-certified pediatric subspecialists1 and contains very few (ie, <10) physicians in newly certified subspecialties such as developmental-behavioral pediatrics. For these reasons, the ABP data were used. The 2003 and 2006 ABP diplomate files include data for 13 071 and 13 497 board-certified pediatric subspecialists, respectively, and exclude physicians known to be deceased or retired. The vast majority of physicians aged 65 years and older have the permanent certifications that were issued by the ABP prior to 1988. It is extremely difficult to determine the current practice activity of these physicians; thus, we excluded all physicians equal to or older than the average retirement age of 65 years. Physicians with current certification in a subspecialty were included and classified by subspecialty. Physicians with 2 or more current certifications were included in analyses for each of the subspecialties for which they had a certification as our data did not allow us to discern the discipline in which the physician was currently active. We excluded physicians with expired certifications as we were unable to discern whether they are actively practicing in their subspecialty. The 2006 file includes data on those subspecialists who are board eligible but have not yet become board certified. The 2003 file excludes such subspecialists, however, and no version of the 2003 file that includes these subspecialists exists (ie, the historical data are overwritten as the diplomate file is updated). Consequently, our analyses were limited to board-certified subspecialists in both periods to ensure comparability of the data. The implications of these exclusions are discussed in the limitations. New entrants were defined as subspecialists who first obtained board certification between 2004 and 2006. With the exception of neonatology,10 past studies have not generated market areas for pediatric subspecialty physicians. A reasonable conceptualization of market area for these subspecialties is an area in which inflows and outflows of patients are minimized.11 The HRRs are mutually exclusive market areas based on Medicare data on referrals for specialized care.12 They have not been validated for use in children but may serve as a reasonable proxy for pediatric subspecialty market areas. For all market-level analyses, data were aggregated to the HRR (n = 306). Subspecialty-specific t tests were used to compare supply at the HRR level between 2003 and 2006. Because of the large number of HRRs with no subspecialists, we limited comparisons of the average number of subspecialists per HRR to those HRRs with a subspecialist in 2003. This ensures consistency in the groups being compared. Bivariate comparisons used Fisher exact test to compare new entrants vs their counterparts. We also present specialty-specific descriptive data on the percentage of subspecialists in markets in which they are the only subspecialist vs those in markets with at least 1 other subspecialist. The study was deemed exempt from human subjects review by the institutional review board because it uses secondary data composed solely of publicly available data. During the period studied, the number of board-certified pediatric subspecialists increased 3.3% overall. While 7 of the 15 pediatric subspecialties experienced relatively large increases in the number of subspecialists, 3 experienced relatively small increases and 5 actually experienced decreases (Table 1). New entrants were significantly more likely than previously certified subspecialists to locate in an HRR that lacked a subspecialist in 2003 for 8 of the 15 pediatric specialties (Table 2). Differences in the percentage of subspecialists in a previously unserved HRR between new entrants and their counterparts were particularly large for developmental-behavioral pediatrics, neurodevelopmental disabilities, pediatric rheumatology, and pediatric sports medicine. Among the 10 pediatric subspecialties with any increase in supply, the percentage of HRRs with a subspecialist increased significantly between 2003 and 2006 for 3 pediatric subspecialties: critical care medicine, developmental-behavioral pediatrics, and neurodevelopmental disabilities (Table 3). For pediatric hematology-oncology, there was a significant decline in the percentage of HRRs with 1 or more subspecialists between 2003 and 2006. Among HRRs with a subspecialist in 2003, the number of subspecialists increased significantly between 2003 and 2006 for 6 of the 10 pediatric subspecialties that had an increase in supply (Table 4). The average number of subspecialists per HRR in those HRRs with any subspecialists in 2003 decreased significantly between 2003 and 2006 for neonatal-perinatal medicine, pediatric endocrinology, pediatric infectious diseases, and pediatric nephrology. Only a small minority of subspecialists practiced as the sole board-certified subspecialist in their HRR in 2006. More specialists in neurodevelopmental disabilities (23.2%), rheumatology (25.3%), and sports medicine (38.6%) practiced as the only board-certified subspecialist compared with the other subspecialties, where generally fewer than 10% served as the sole subspecialist in their HRR. There was a 3.3% overall increase in the number of board-certified pediatric subspecialists younger than 65 years between 2003 and 2006. Several pediatric subspecialties experienced fairly large increases in supply in this short period. Two specialties that only recently began offering certification, developmental-behavioral pediatrics and neurodevelopmental disabilities, were among those experiencing large increases, as we would expect. However, a number of longstanding subspecialties such as critical care medicine also experienced substantial growth. Five of the 15 specialties studied experienced a decline in the number of certified subspecialists, with pediatric endocrinology and pediatric nephrology experiencing double-digit declines in supply. Despite having the most subspecialists, one reason why neonatal-perinatal medicine may be experiencing a decline is that many areas are reaching saturation of their need for additional subspecialists in this subspecialty. The findings suggest that changes in the number of pediatric subspecialists did not significantly influence the distribution of these subspecialists in the short term. With the exception of 4 pediatric subspecialties, the percentage of HRRs with subspecialists was virtually unchanged between 2003 and 2006. Two of the exceptions are newer specialties, including developmental-behavioral pediatrics and neurodevelopmental disabilities. In their nascent period, increases in supply by new entrants do appear to lead to a more diffuse geographic distribution. However, we are not able to determine the amount of time these subspecialists spend in patient care. It is possible that new entrants are more likely to be physicians, particularly women, who are devoting fewer hours to patient care, in which case our findings might overestimate the actual availability of new entrants to provide clinical services. On the other hand, the significant increases in the number of subspecialists in HRRs that already had subspecialists suggest that increases in supply may actually reinforce the existing distribution for certain pediatric subspecialties. In particular, some subspecialties that saw increases in the total number of subspecialists, such as adolescent medicine and pulmonology, saw small but not significant declines in the number of HRRs with a subspecialist accompanied by an increase in the number of subspecialists per HRR. This indicates that some of the increase in subspecialists is reflected in increased subspecialist density in areas that already have subspecialists. Even in subspecialties where subspecialists were most likely to enter previously underserved markets, such as rheumatology, the decline in percentage of HRRs with a subspecialist shows that the new entrants did not cover attrition from other HRRs. Likewise, most pediatric subspecialties that experienced decreases in supply saw significant decreases in the average number of subspecialists per HRR rather than declines in the percentage of HRRs that had subspecialists. Furthermore, the findings illustrate a strong tendency for subspecialists to avoid being the sole subspecialist in their market among the majority of pediatric subspecialties. Our findings provide some reassuring evidence that new entrants are significantly more likely than their established peers to locate in a previously unserved market. New entrants were significantly more likely than previously certified subspecialists to locate in an HRR that lacked a subspecialist in 2003 for 8 of 15 pediatric subspecialties. Over time, larger increases in supply may yield improvements in the distribution of subspecialists, especially among smaller pediatric subspecialties. Future analyses should continue to track these trends. Movement into an HRR previously lacking subspecialists may be impeded by a number of factors, including the financial viability of private practice in pediatric subspecialties and inadequate demand. Past research has suggested that the population thresholds for market entry among pediatric subspecialties can be very high, especially for cognitive subspecialties. As such, pediatric population size and therefore demand may constrain market entry among pediatric subspecialists. Subspecialists may also prefer to practice in areas where they can benefit from having professional colleagues nearby with whom they can share calls and consult. Thus, subspecialists may be reluctant to enter a market as the sole subspecialist in their field and prefer to enter markets that already have subspecialists. Furthermore, the failure to move into unserved markets may reflect anecdotal reports that pediatric subspecialists have yet to saturate more desirable markets (James Stockman, MD, personal communication, June 2007). Children's hospitals, including freestanding, nonfreestanding, and specialty hospitals, are the predominant employers of pediatric subspecialists. According to a recent survey by the National Association of Children's Hospitals and Related Institutions,13 more than 50% of responding institutions reported that pediatric subspecialty shortages have resulted in increased vacancy rates for some positions, delayed clinic visits and surgical procedures, lost referrals, reductions in the level of services, and increased salaries. 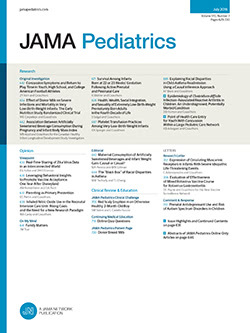 Most responding subspecialists reported delays longer than 2 months in scheduling for pediatric neurology, endocrinology, developmental-behavioral pediatrics, and gastroenterology.13 The current perceived shortage may reflect the effects of declines in the number of pediatric subspecialty trainees that occurred from 1995 to 1998 but have long since reversed. According to the ABP, the number of pediatric subspecialty trainees entering their third year of training increased from 577 in 1999 to 935 in 2006.14 The effects of this growth in the number of trainees on the distribution of the pediatric subspecialty workforce should be monitored in coming years. This study has several important limitations. Because our version of the 2003 ABP diplomate file did not include board-eligible subspecialists who were not certified, our analysis was limited to board-certified subspecialists. Across specialties, uncertified subspecialists composed one-quarter to one-third of subspecialists in 2006. One previous study15 found that 27.5% of uncertified pediatric subspecialty–trained subspecialists function as general pediatricians exclusively; therefore, some of these uncertified subspecialists may not be working in their subspecialty. Nonetheless, the exclusion of uncertified subspecialists likely leads to underestimation of supply. For 9 of the 15 pediatric subspecialties studied, uncertified subspecialists were more likely than certified subspecialists to locate in an HRR that did not have a certified subspecialist in 2003 (results not shown), but only a small percentage of uncertified subspecialists were in those unserved markets. The exclusion of uncertified subspecialists certainly leads to underestimation of the average number of subspecialists per HRR. Unfortunately, there are no data available on uncertified subspecialists in 2003 to allow us to include these individuals in our analyses examining changes from 2003 to 2006. A second limitation is the use of HRRs to define market areas. Because pediatric subspecialists often concentrate in academic medical centers, use of HRRs may not be most reflective of a desirable distribution of pediatric subspecialists. However, other ways of defining geographic areas such as zip code or county are limited in their usefulness for the less prevalent pediatric subspecialists compared with adult or general pediatric subspecialists. Another limitation of this study is the relatively short time span. Nonetheless, the percentage of change in the number of subspecialists ranged from −17.3% to 61.3% across pediatric subspecialties, allowing the study of some fairly large changes in supply. The increases in supply that we witnessed may not have been sufficient to influence market entry. Of the 6 pediatric subspecialties that experienced double-digit increases in supply, 3 saw significant increases in the percentage of HRRs with at least 1 subspecialist. For more established or less rapidly growing pediatric subspecialties, longer observational periods may be needed to allow sufficient changes in supply to occur. A final limitation is that we examined only diplomates younger than 65 years. The vast majority (>90.0%) of physicians aged 65 years or older have permanent certification, making it extremely difficult to determine their current practice status. Concerns about the validity of these data for our purposes outweighed the limitations of excluding them. These physicians represent approximately 10% of total certifications and certainly far less of the subspecialist population. Additionally, we would expect that few physicians in this age group would be relocating, meaning that our results would actually underestimate the percentage of physicians entering previously unserved areas. Thus, it is unlikely that inclusion of these individuals would have led to significantly different conclusions. Our findings suggest that increases in supply alone, in the short run, will not lead to improvements in the distribution of pediatric subspecialists. Other possible approaches include modification of Health Professional Shortage Areas to include pediatric subspecialists, expansion of the National Health Service Corps to include pediatric subspecialist placement in unserved areas, and support for telemedicine and satellite clinics for pediatric subspecialty care. Financial and other incentives to locate in less desirable areas may be needed to ensure adequate distribution of and access to pediatric subspecialists. Correspondence: Asheley Cockrell Skinner, PhD, Department of Pediatrics, University of North Carolina at Chapel Hill, CB 7225, Chapel Hill, NC 27599-7225 (asheley@unc.edu). Author Contributions: Dr Mayer had full access to all of the data in the study and takes responsibility for integrity of the data and accuracy of the data analysis. Study concept and design: Mayer. Acquisition of data: Mayer. Analysis and interpretation of data: Mayer and Skinner. Drafting of the manuscript: Mayer and Skinner. Critical revision of the manuscript for important intellectual content: Mayer and Skinner. Statistical analysis: Mayer and Skinner. Obtained funding: Mayer. Administrative, technical, and material support: Mayer. Funding/Support: Dr Skinner is supported by training grant 5-T32-NR008856 from the National Institutes of Health.